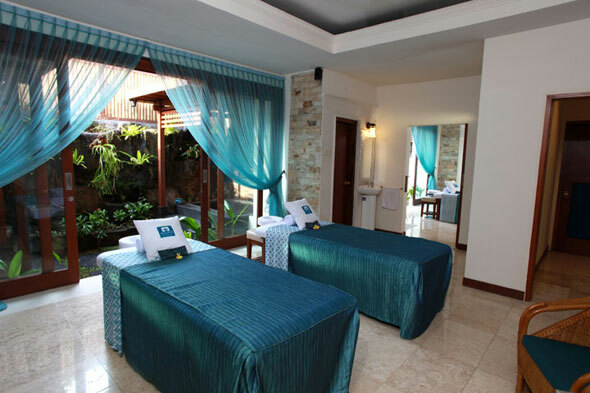 Located in Sanur, Bali, the luxurious Aroma Spa Retreat offers a complete relaxing spa experience. Commit to a day with us or choose from one of our magnificent treatments and we will transform you. Aroma Spa Retreat will immerse you in the world of hand made and organic treatments. A coconut scrub is grated directly from the coconut shell, taken straight to the treatment room and applied to your skin. Fresh organic ingredients with no chemicals. Beautiful, feel like the beautiful you. Our motto is high touch, low tech, as we believe touch heals and rejuvenates. 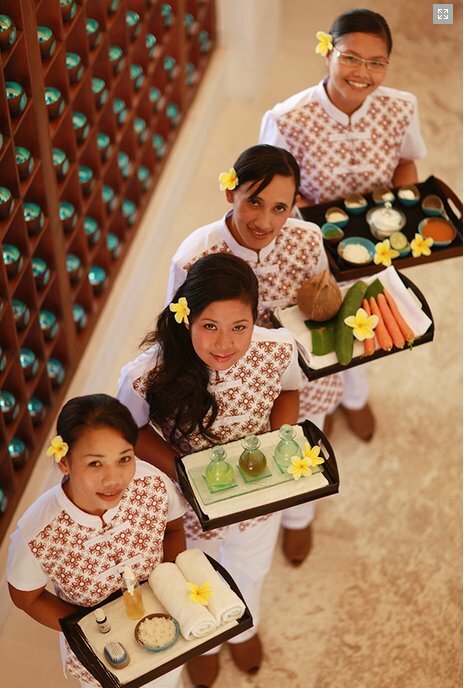 Our staff is specially trained in the unique Aroma Spa Retreat treatments to ensure you leave transformed and invigorated. Our high touch environment stimulates your body, ensuring that your body systems are receptive and able to absorb the full effect of your health and beauty treatments. 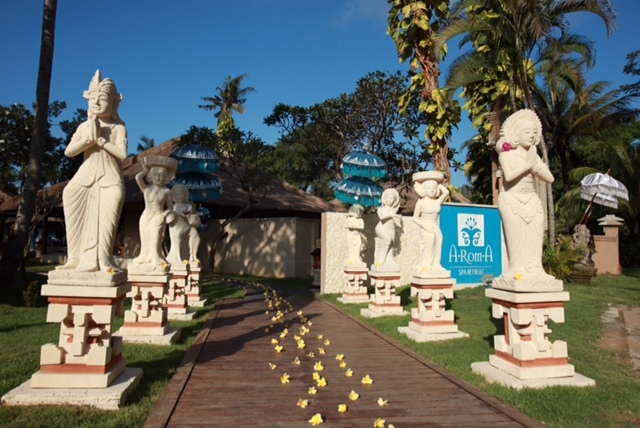 Breathe, place yourself in the care of the staff at Aroma Spa Retreat in Bali. Experience the unique integrated approach to health and beauty. You are assured to leave with a renewed perspective and we know you will want to come back time and time again. WE ONLY ACCOMMODATE 12 PEOPLE PER DAY AND WE WOULD NOT WANT YOU TO MISS OUT. Rates inclusive tax & service charge. Please register to write a review ! Choose from one of our three specialty massages. They all include an Indonesian Jamu welcome drink, refreshing cool towel and foot cleanse. 1. Firm Detox Massage: this is our deeply relaxing, specialty massage. Uses a detoxifying blend of juniper,black pepper and ginger oils incorporating both Lomi Lomi and Swedish style of massage. 2. Aroma Essence Massage: various inhalations are used in conjunction with long stretching movements to open your energy paths and release blockages. Incorporates a warm virgin coconut oil blended with lavender, lime and ylang-ylang. A beautiful, firm, but softer style of massage. 3. Aroma Balinese Massage: a unique sequence of movements stimulates the lymphatic system and suits all pressure types. Uses an invigorating blend of eucalyptus, lemon and peppermint oils. Begin with a warm Foot Bath with Shiatsu Massage followed by foot reflexology concentrating on the meridians of the feet stimulating your organs and systems to release toxins. You will feel the full benefit several days after the treatments. Also includes a Leg and Back Massage with warm bag compression as well as a traditional Indonesian Jamu welcome drink and refreshing cool towel. Your relaxation begins with a Foot Ritual incorporating Shiatsu Massage whilst enjoying an Indonesian Jamuwelcome drink and refreshing cool towel, followed by a Sea Salt Scrub and Essential Oils Purification. Next, a full Ayurvedic Body Brushing stimulates your collagen production and gently exfoliates the skin, preparing it for your 1½ hour Massage with a style of your choice. Finish with a warm shower. Freshly grated coconut and virgin coconut oil, together with Australian Essential Oils are used for the body scrub. It exfoliates and rehydrates, leaving the skin glowing. Finish with a warm shower. An all-natural facial using a honey and yogurt cleanser, cucumber astringent, and white clay face mask withChinese Acupressure Massage aimed at releasing blockages from your lymphatic system. Also includes Lower Leg Massage and finishes off with a Wash and Tussle Dry. Deduct $5 if you choose to have the facial without a Wash and Blow Dry. Uses original Decleor products with a Chinese Acupressure Massage aimed at releasing blockages from your lymphatic system. Also includes a Lower Leg Massage while your White Clay Mask is going to work, finishing off with a Wash and Blow Dry. Green tea and tamarind cleanser, detoxifying, anti-inflammatory and anti-oxidants, coconut and vanilla scrub, Neroli blossom toner with citrus overtones, wild honey mask, cleopatra’s rose facial hydration pure hydrating massage oil. Wild honey barrier cream creates a moisture-regulating barrier. Finish with a Wash and Tussle Dry. Deduct $5 if you choose to have the facial without a Wash and Tussle Dry.